Travelling halfway down the world with flights that seem to go on forever, interspersed with stunning views of land and the sky and interesting incidents during layovers, the RCEs of the Americas conference was a rewarding experience, showing the collective energy that is working for Agenda 2030 through local, national and international collaborations for the SDGs. There are important opportunities for the RCEs of the Americas to network across common themes of interest such as climate change, biodiversity conservation, equity, justice and inclusion networking landscapes and communities through ESD. 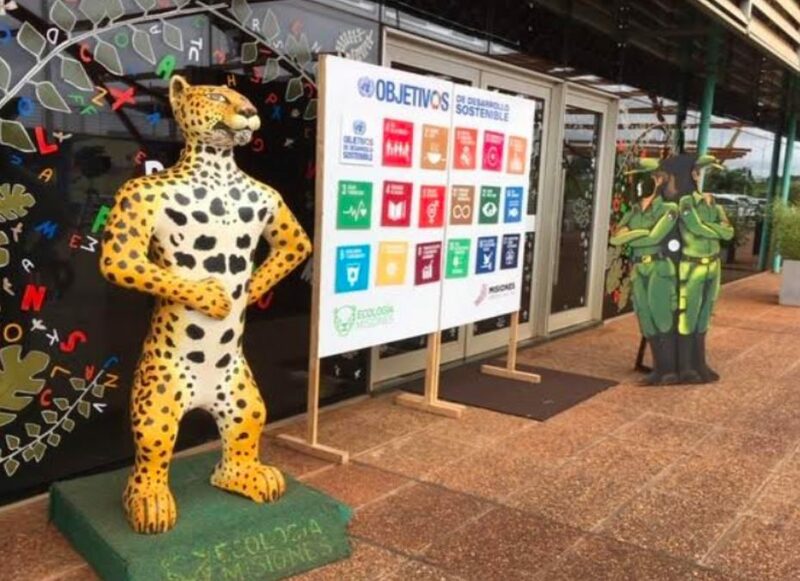 The RCE’s meeting on ESD, conservation and climate change in Agenda 2030 was hosted by RCE Cuenca del Plata Institucional at Posadas, Argentina, in October 2018. Diego Adamson, with RCE Cuenca del Plata, and his team of ever-ready-to-help people hosted this well-planned and executed RCEs meeting, bringing together local leaders, acknowledging their work and arranging for field trips which gave insights to local people, their land and their history. The participating RCEs included RCE Georgetown (Pamela Martin), RCE Greater Atlanta (Dr. Jennifer Hirsch, Lisa Smith, Garry Harris, Valerie Mac, Kris Charfield), RCE Saskatchewan (Roger Petry), RCE Curitiba-Parana’ (Patricia Charvez), RCE Greater Burlington, RCE Bogota (Prof. Maria Mercedes Callejas Restrepo), RCE Lima- Cailao (Dr. Teresa Salinas Garmero), RCE Western Jalisco (Dr. Carlos Garcia Palomera), RCE Portland (Neeraja Havaligi), RCE Saskatchewan (Dr. Roger Petry) and UNESCO Chair in Reorienting Education towards Sustainability Charles Hopkins. Check out the overview of the RCE presentations and photos from the conference at the UNU Global RCE Network website. lifting collective ooooos and aahhs. and pug marks on trail. as I do on the prints on trail.